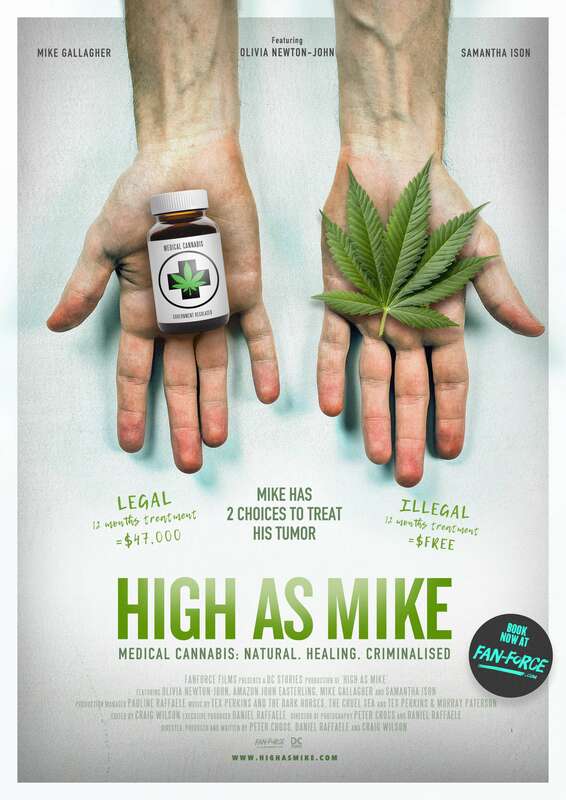 Emma Cooper Wright brings you this special screening of High As Mike on Monday 13th May, 6:30 pm at Cineplex Cinemas Balmoral QLD! Keep up to date on our Facebook Event Page! Mike has a brain tumour. It’s the sort of tumour that won’t kill him, but it will rob him of his sight. ​With the current stagnation of Medicinal Cannabis prescription in Australia, Mike sets off on a road trip of discovery. To find out if Medicinal Cannabis will reduce his tumour and help regain his eyesight. ​Travelling from Tamworth in the New England region of NSW, Mike’s journey takes him to The Gold Coast, Nimbin, Newcastle, Adelaide, Melbourne, Canberra, Uluru, Townsville and Sydney in search of answers. ​Mike chats with patients that have already embarked on the same life changing journey, as well as Politicians, a former Australian Federal Police Commissioner, a Lawyer, a Neurosurgeon, Doctors and suppliers of Medicinal Cannabis, including one that is facing an 18 year gaol term for her life saving service. ​The documentary uses patient testimonies with a broad range of medical conditions and expert opinions from all sides of the Medicinal Cannabis debate and aims to offer a balanced perspective of the current situation regarding the prescription of Medicinal Cannabis.